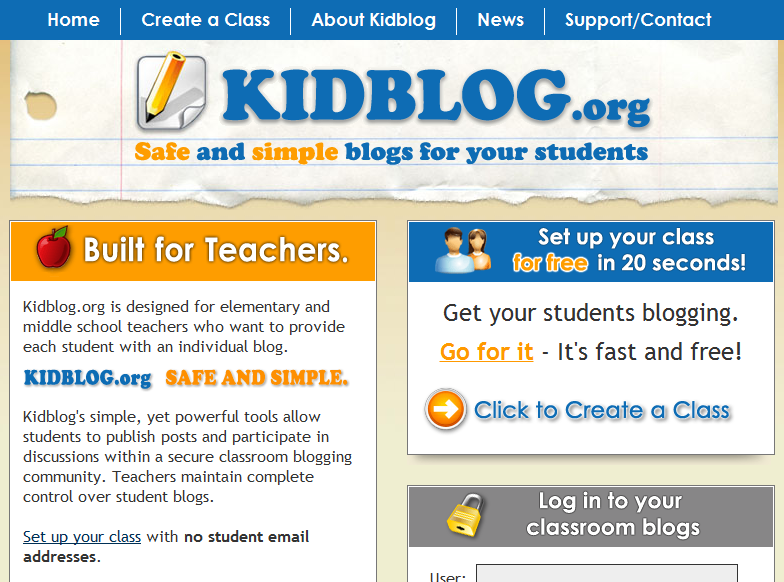 If it wasn’t already obvious, I am a huge proponent of blogging, especially in the classroom. There is no other online tool that provides space to be thoughtful and reflective while also including the audience in the discussion. Add to these communicative properties in blogging the ability to link to related resources, embed multimedia, and revise as often as necessary. What you have is a powerful online tool that only gets better with age. Blogging is a big part of my perspective on my work and life. I blog here, but I also blog for my community and for fun. I find the interactions and dialogue that happens on my blogs are invaluable to my growth as a lifelong learner. This is why I encourage teachers every school year to start their own blogs and to even get their students involved in these blogging projects. When teachers started their own blogs or assigned their students to submit posts or comments to these blogs, I felt my promotion of the medium was successful. Then, I read Krissy Venosdale’s post on blogging. Krissy recently came to the realization that her students didn’t have their own blogs even though they often blogged on her classroom space. It’s a simple observation but rather insightful. Just as we try to provide some ownership for our students in the classroom in the form of determining classroom norms or providing more choice in the form of student-led inquiry, to not give each student his or her own blog goes against this philosophy. After all, students take more ownership and pride in their learning when they are able to take some ownership in the learning environment. My kids are writing. They are excited. They have a forum. A place to voice their opinions. A place to reflect. A place that is theirs. It’s really, really theirs. Now they are learning. The etiquette of blogging. The power of getting your message out for others to see. The importance of polishing writing before you publish. The excitement of engaging in discussion comments. Their writing is no longer stuffed in the back of desks or at the bottom of bookbags. Isn’t that what we want from our students? Isn’t this how excitement for learning translates in the 21st century? Now, not only will I encourage my teachers to blog, but I will promote students writing on their own blogs as a way to go further with a tool that has enormous learning potential.